Basketball lovers are spread all around the world. Many religiously watch all the important matches. Most of them watch it on TV and some of them listen to the commentaries on the radio. Social media and the internet make it all the more convenient to get the updates whenever required. 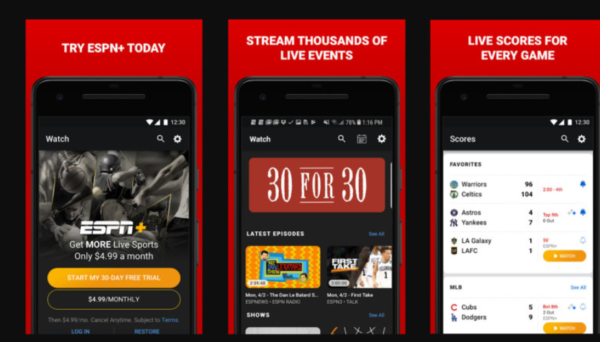 Today when for every purpose you can find an app at the play store, then you definitely can expect an NBA Score app that gives you updates of every basketball matches and even lets out interact with the other fans all around the world. 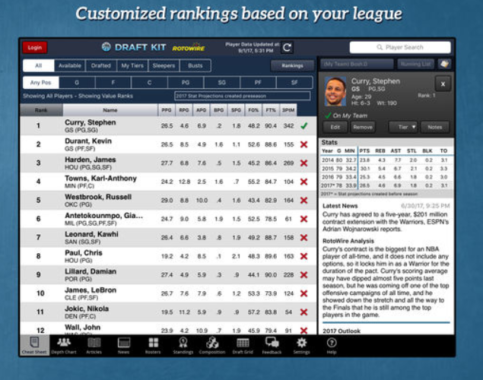 Here is a list of The Best NBA applications out of which you will find it quite difficult to choose one. As you all know that ESPN is the big name in the sporting world. It gives you all the information that is needed to keep you updated about the ongoing matches. 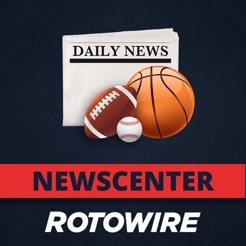 It gives you scores, news, stats, and other related updates. Such scores can be found for college basketball, the NBA, the Olympics, the WNBA and other such tournaments organized by various organizations. It is considered as one of the best platforms for keeping you updated, especially about the basketball matches. If you have the TV subscription for this App, then you can also watch live matches on your system, tablets or mobiles. 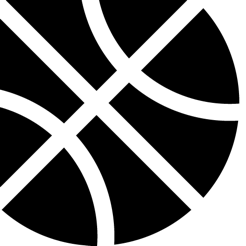 This app gives you all the details of the basketball action going around the world. If the settings are made according to your favourites, then you will get notified every time an update comes about your favourite player or team. You can get live stats from every game and video highlights as for and when they are available. 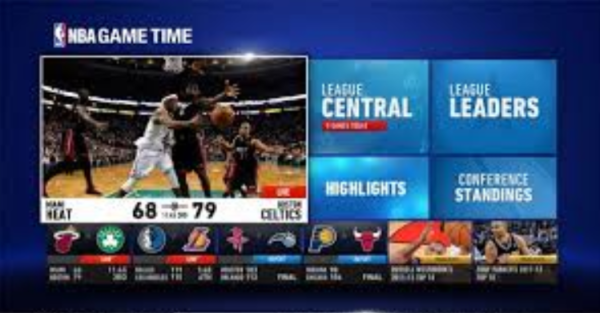 If you have a subscription to League Pass, you can directly stream through the games with your app. 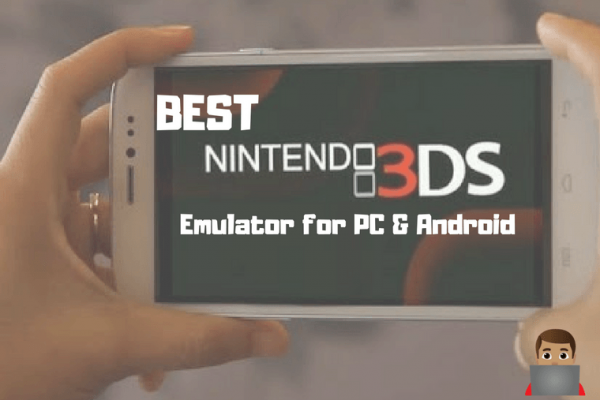 The app is available for iOS, Android and Windows phones. 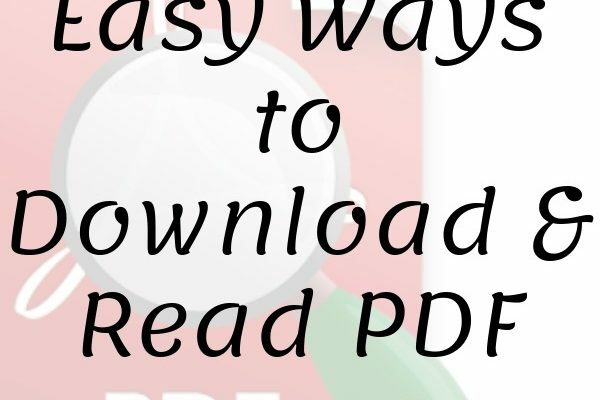 How to Read PDF files on iPhone? There are always some random matches going on. You cannot always be alerted about the same just by reading the everyday TV routine section of the newspapers. It is also not possible to keep track of the sports channel frequently to get the updates. Here is the place, where the Score App comes in handy. It alerts you with all the important matches that you do not wish to miss. Such alerts can be customized according to your own choice. You can also just set the alert for important matches or even the final moments of matches of a particular league so that you don’t have to sit throughout the whole stretch of the match. The app is available for iOS, Android and Blackberry Sets. The NBA has embraced advanced metric system for the statistical analysis of the games that are played. This is done mainly to track down the individual performance of each player. 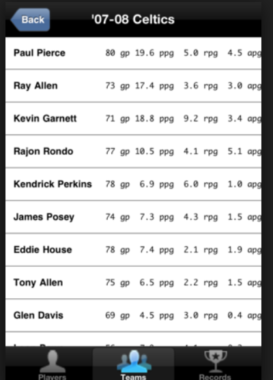 Just by seeing the standard box score, many players are easily disliked by the fans. This should not be the case and for preventing this very scenario, this app has developed this very method of analyzing everyone’s performance in details so as to show the viewers something more than basic scores. The only limitation with this app is that it is available only for iOS devices. Sometimes watching something more than the rule abided games becomes the need of the hour. Viewers and the fans are often more attracted to all those moves that are illegal to be used in matches. Players pulling off such incredible moves are actually more fun to watch. 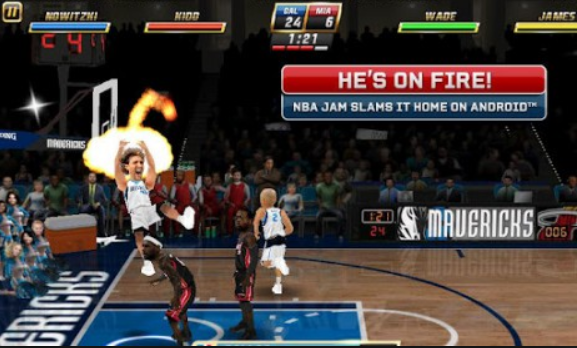 If you wish to watch best of both the scenarios- NBA players going for ridiculous yet amazing moves with a bit of an old school flair to it, then NBA JAM is the right choice for you. Its layout and content is a mixture of the moves of current players as well as those of the nineties. This app is available for iOS as well as Android devices. 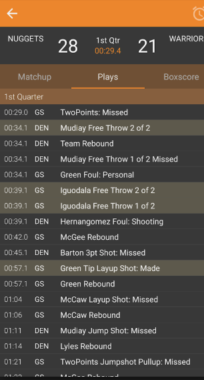 Though the app has such a normal name, yet as the name suggests it is a neat app for getting updates of the matches of NBA. 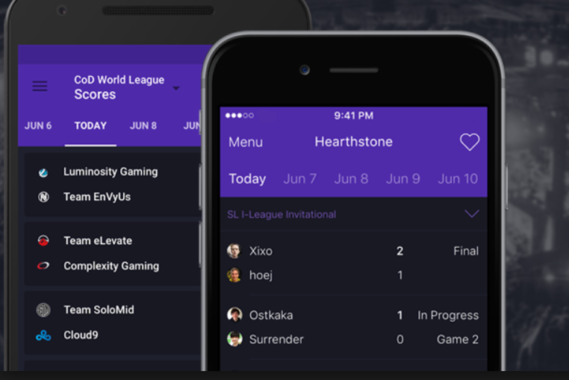 It shows you all the details of the matches including scores, schedules and the play- by- play events of a game. You can also set alarms at the start of each game so that you do not miss it. It can also download the schedule of the matches so that you can get to know the timings even when you do not have an internet connection. Score updates need an online connection. Most importantly, the app is free and so contains ads. It just supports the NBA and being free of cost, it is preferred by many fans of basketball. The above-mentioned apps are the best ones that you can try if you are missing out on the basketball matches that you wish to watch. While some may have in-app purchases, you can always go for the free ones to get the updates that you want to have. 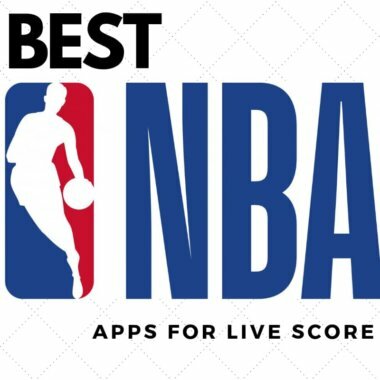 So In this post, We have published a list of best NBA live score applications, We have also published a list of Best Football applications for live scores and highlights. The links are also provided to download the apps in iOS as well as Android. Let us know about your favourite applications in the comment box down below.